As a proud Master of Beef Advocacy (Top of the Class, thank you very much! ), I’m pretty confident in my knowledge of this nutritious, delicious, wholesome food. 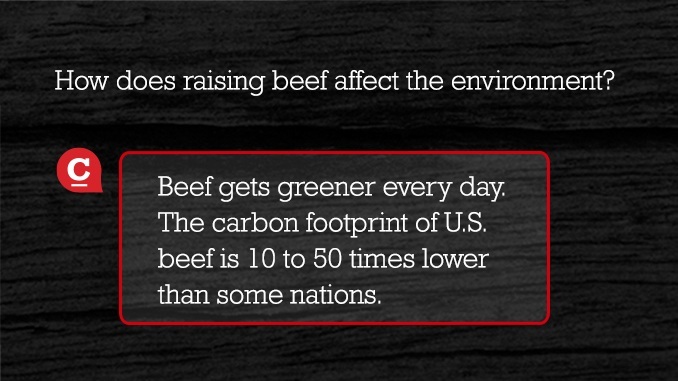 I’m always learning more about the sustainability of including beef as part of a balanced lifestyle, consider myself a burger connoisseur, and always lean on beef to fuel my athletic endeavors. Nothing brings me greater joy than receiving a text from a friend asking about a cut of beef, looking for a recipe, or simply telling me “hey – there’s beef in my shopping cart and it made me think of you.” Be still my beating heart! But hey, I’m only human, and sometimes I need some beefy backup. Thankfully, the folks at Beef It’s What’s For Dinner came through big time. He might be small (the exact size of an Alexa dot), but Chuck is mighty in his know-how of all things beef! Wondering what to make for dinner tonight? Chuck delivers five easy options within seconds. Want to know how long to cook that delicious chuck steak griller for medium-rare perfection? Ask Chuck! Sometimes I try to stump him with questions about the nutritional value of specific cuts. He comes through with that, too. Powered by Google Artificial Intelligence, Chuck is continually adapting to questions and beefing up his arsenal of tips and tricks. If you’re already an Alexa user, you’re in luck: simply download the Chuck Knows Beef Skill. All you have to do now is say “Alexa, activate Chuck Knows Beef!” to dig into all of Chuck’s beefy knowledge. And don’t forget to tell Alexa to add beef to your grocery list! Chuck knows more than just recipes! Chuck Knows Beef is also available on Google Home, and of course, at chuckknowsbeef.com, so he’s right at your fingertips at home or on the go. I hope you’ll welcome him into your kitchen with open arms! Older PostCelebrate Heart Health Month - with Beef!